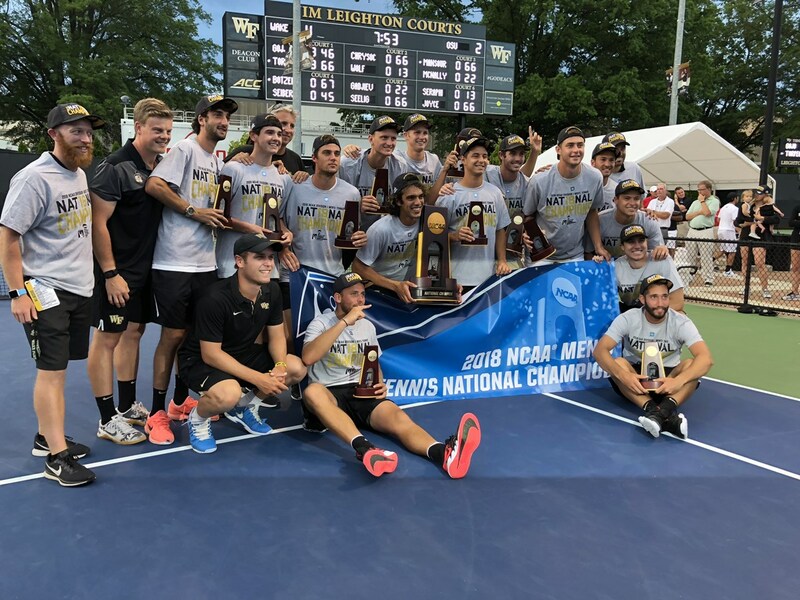 The overall top seed took home the top prize in the NCAA final match as Wake Forest defeated Ohio State, winning 4-2, aided in part by a comeback in the second set from 24-year-old freshman Bar Botzer, and in part by the crowd. Senior Christian Seraphim, who had clinched the matches for the Demon Deacons in both the Elite Eight and the Final Four, also credits the community saying, “You feel like you have all the support behind you. It lifts you up on the court and you start playing better. The permanent seating overlooking the Jim Leighton Courts overflowed, surely creating some neck injuries as fans standing craned to see each point. Side views were equally as fraught where the crowd was three or four people deep. The Winston-Salem Open kicks off August 18th, with the player field announcement on July 11th. Tickets go on sale June 4th.